Announcing the latest releases for Summer 2014 from Eraserhead Press. Fun new titles from Carlton Mellick III, Kevin L. Donihe and Shane McKenzie. Sally is an odd little girl. It’s not because she dresses as if she’s from the Edwardian era or spends most of her time playing with creepy talking dolls. It’s because she chases rainbows as if they were butterflies. She believes that if she finds the end of the rainbow then magical things will happen to her–leprechauns will shower her with gold and fairies will grant her every wish. But when she actually does find the end of a rainbow one day, and is given the opportunity to wish for whatever she wants, Sally asks for something that she believes will bring joy to children all over the world. She wishes that it would rain candy forever. She had no idea that her innocent wish would lead to the extinction of all life on earth. Sweet Story is a children’s book gone horribly wrong. What starts as a cute, charming tale of rainbows and wishes soon becomes a vicious, unrelenting tale of survival in an inhospitable world full of cannibals and rapists. The result is one of the darkest comedies you’ll read all year, told with the wit and style you’ve come to expect from a Mellick novel. Marcus is a socially awkward, steroid-ridden bodybuilder who happens to be the biggest fan of the first Super Mario Bros. game…ever. His toilet seat lifts to reveal a Mario head. A picture of Shigeru Miyamoto, the inventor of the game, sits atop his TV. Now, clad in a Mario-printed outer and underwear, he ventures to a three-day social gathering of rabid Mario fanatics. He dreams of finding long-lost brothers and sisters, of being able to talk to people who understand him. But forging life-long connections isn’t easy at a gathering lorded over by a living yet pixelated King Mario who keeps a silent and submissive Princess at his feet. 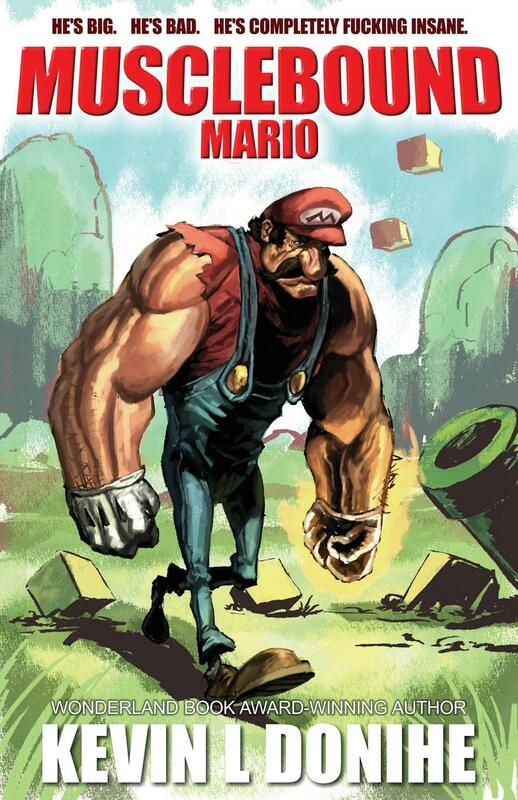 Marcus is banished, and it seems all hope is lost until, via a combination of miracle and conscious choice, he becomes Musclebound Mario and enters the Mushroom Kingdom. 8-bit enemies are powerless against Musclebound Mario’s supernaturally swollen muscles and clenched fists larger than human heads. But it seems his arrival has unraveled the very fabric of the Kingdom itself. Worlds are squished together. Villains are hybrid patchworks, all in a trance. And no longer is the goal to save a Princess, but a Prince. So he travels through strange worlds far removed from the characters and levels of the One True Game. Not easy for a man uncomfortable with things greater than 8-bits. But if order is to be restored to the kingdom and to the one thing he’s never known–himself–then a hero he must play. From master of bizarro fiction, Kevin L Donihe, comes a surreal satire for video game fans and weird fiction junkies. Grady learns this the hard way when he rubs one out in the bathroom and ends up knocking up his toilet. 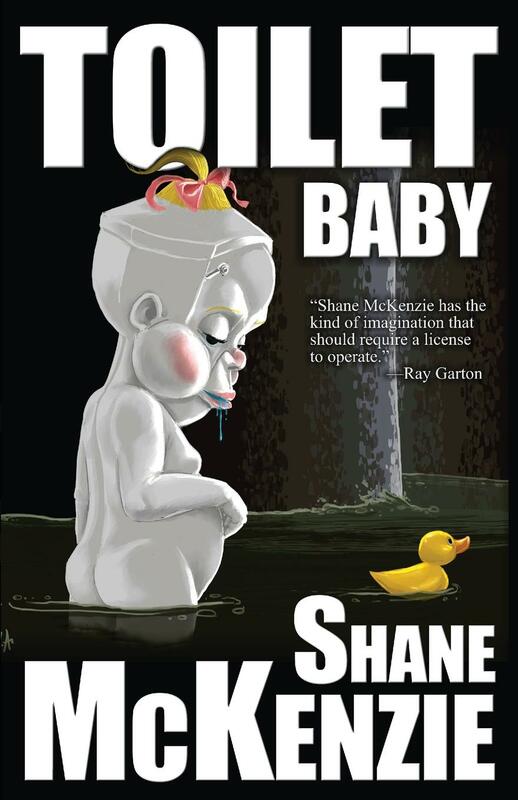 When the swollen latrine gives birth, Grady finds himself saddled with a toilet baby-a half-human half-porcelain monstrosity that yearns to be loved. But being a new father isn’t easy when your child is a toilet girl that feeds on human excrement and must be kept a secret from the rest of society. Grady soon learns he isn’t the only one with this problem. There’s a hidden community of toilet people where fathers can live with their toilet children in peace. Unfortunately, their tranquil isolation cannot last forever. Kids will be kids and the toilet children are eager and curious to learn about the world and experiences that were always kept from them – no matter how dangerous they may be. From the same deviant mind that brought you PUS JUNKIES and MUERTE CON CARNE comes a comedy about family and love born from the toilet bowl.